IT IS a year since this country lost a man Enda Kenny described as iconic: Army Chief of Staff. Dermot Earley. Far better people than me have given eloquent testimony to what an extraordinary man Dermot was. This can be readily verified by a visit to the excellent exhibition on his life and career at the GAA museum at Croke Park. On a purely personal level, what amazed me most about him was his capacity to command great authority while at the same time exhibiting a sense of humility. He was strong and forceful, yet also gentle and relaxed. For almost six years, from 2004-2010, I worked down the corridor from him in the Parkgate HQ of the Defence Forces and Department of Defence. Within a short space of time I witnessed his great personal skills, not least his ability to put people at ease. Both he and I were attending a social occasion organised by the soldiers’ representative body PDFORRA. 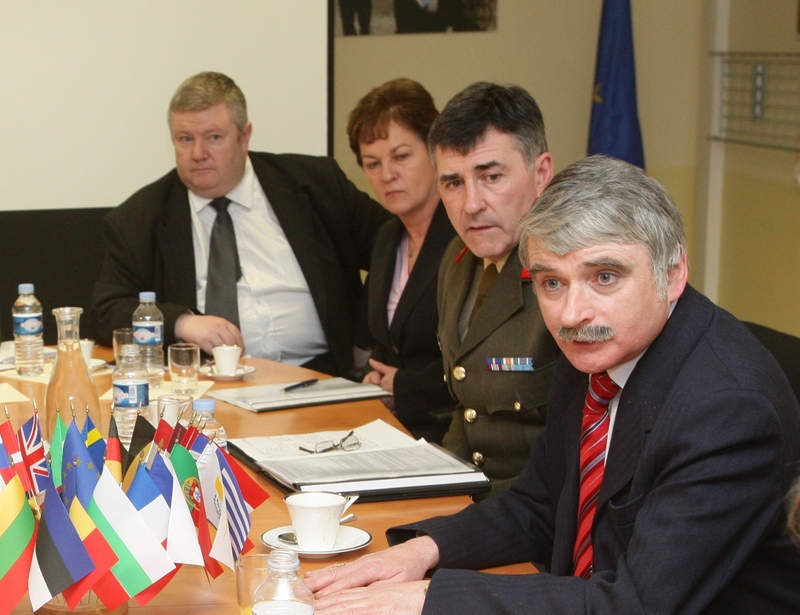 Through their involvement with the Euromil, the network of military representative bodies across Europe, PDFORRA had been supporting other groups seeking their own representation systems. Attending the social function were three of four officers of a sister organisation not recognised by their own military authorities. While I am 90pc sure I remember the country concerned, I won’t name it here. One of the PDFORRA senior officials asked me if I would mind meeting these guys. I said I had no problem and was introduced to them. They were in civvies, as they were here on their own time. Minutes later we were joined by Dermot, who arrived in the uniform of a Major General, as our Deputy Chief of Staff. He suggested we sit down at one of the tables and have a chat and a drink. The guys were not just impressed, they were visibly moved. Here was the second in command of our army not just meeting them, but sitting down and talking face to face when their own mid-ranking officers would not. My other abiding memory was a a trip to the EUFOR HQ outside Paris. During a break, three or four of us, including Dermot, went outside to stretch our legs. As we strolled we noticed a number of French soldiers on duty looking over at him from a distance. They could tell he was a senior general from his insignia, though it was clear they were unsure who he was, or where he was from. He noticed this and chuckled as we saw them talk among themselves. At this point I piped up: “I think I know what they are saying.” “What’s that,” asked Dermot. “They are saying,” I replied, “you see yer man over there… he’s the greatest Irish footballer never to win an All-Ireland medal.” He looked at me sternly for about five seconds and then burst out laughing. He may have said something back at me, but I cannot quite recall just now. It is, however, the way I will remember him.